How Green is your Timber Merchant? ‘Green credentials’ are certainly topical buzzwords. Businesses are changing the ways they are working, from product sourcing to waste management to Power Generation. As long established Timber Merchants (we have good reason to believe that our forebear’s might have supplied Nelson’s navy!!) we feel that we have been green and managed our bi-products (we hate the word waste) very well over the years, and therefore feel we are very Green. But there is always room for improvement. The recession has made every business review nearly everything they do and buy to make sure their purchasing decisions are cost effective. I know we have, and reviewed them again and again. So in the middle of 2012 we started investigating the possibility of installing Solar Panels to generate some of our own energy. It seemed a good thing to do given the UK Governments contribution for 20 years through a Feed In Tariff payment scheme. 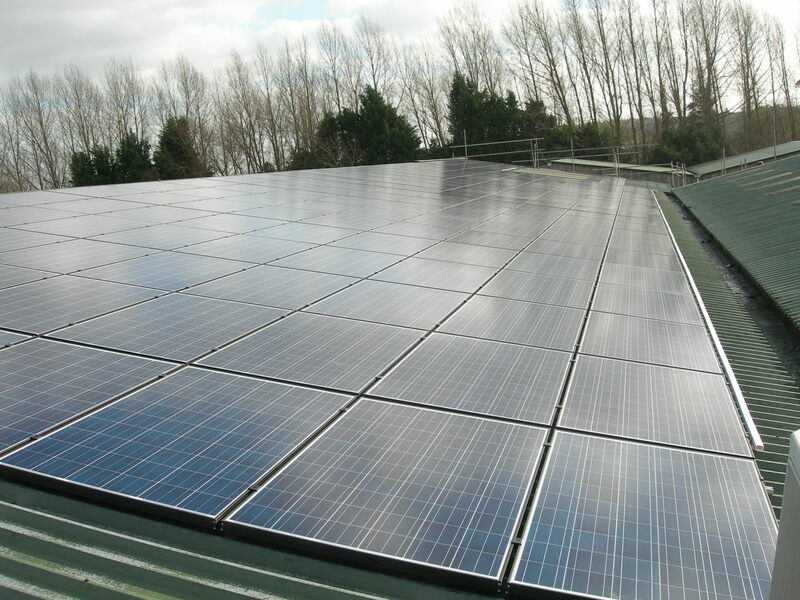 We approached two companies based in the South East of England and after a couple of proposals, we appointed a company called Solar Resources as our supplier. To enable the project to move forward we contacted the Carbon Trust to find a suitable funder, this was achieved with Siemens Finance. 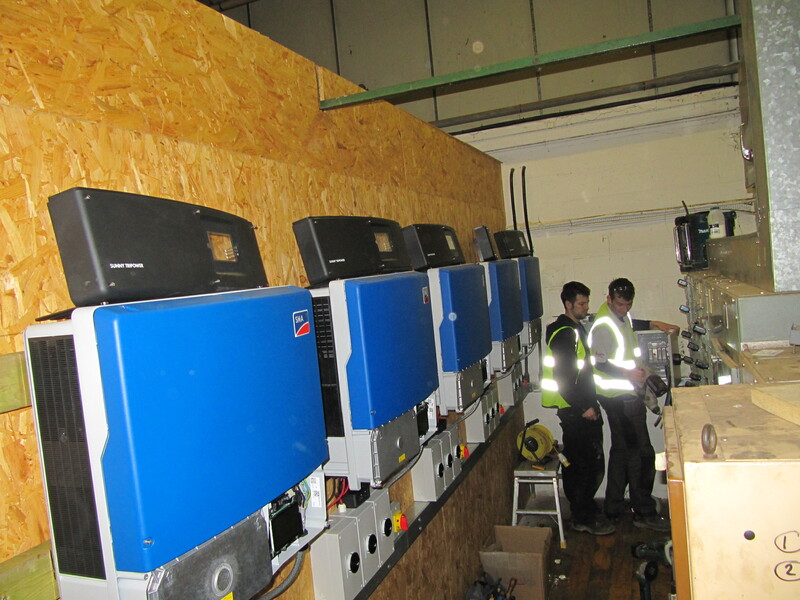 So when we came back to work in the New Year the scaffolders moved in, the panels were delivered and in mid-January the engineers started the installation of a 80Kwh system. Once all of the preliminary work is done, surveys, structural checks etc, the install is done very quickly, and on Thursday 31 January 2013 we generated our very first Kilowatt of power. Being a sawmill we are a major user of electricity, so we anticipate that the 80kwh system that we have installed will supply approximately 24% of our demand. Not much you might think? But you want to see our electricity bill!! To date we have generated 7904kwh in 4 months, and the weather has not been brilliant, so shine sun, shine!! But that’s not the end of the Green story, oh no. Slabwood – this is where we are cutting logs and flatten the round sides of the log or where we are cutting a length of timber to width. These can vary in length from 2 metres to 4 metres. 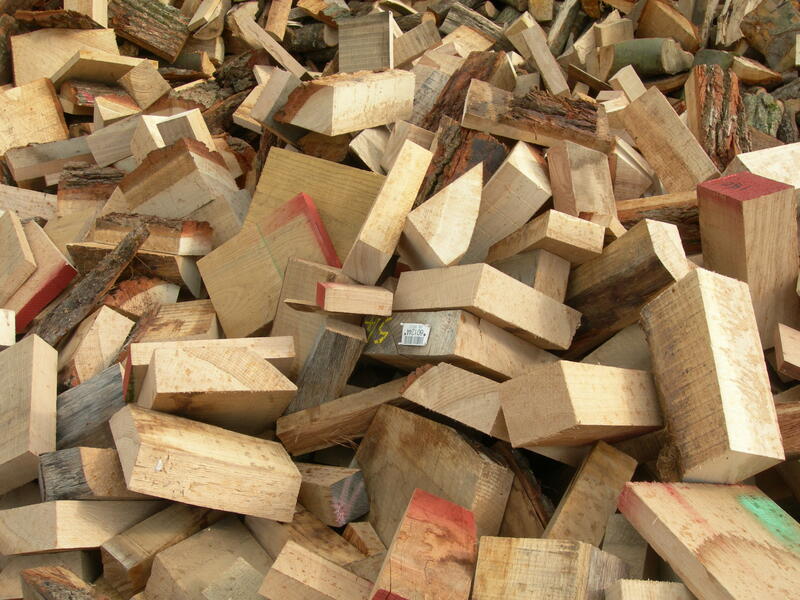 Offcuts – this is where we have cut a piece of timber to length and created a short offcut. 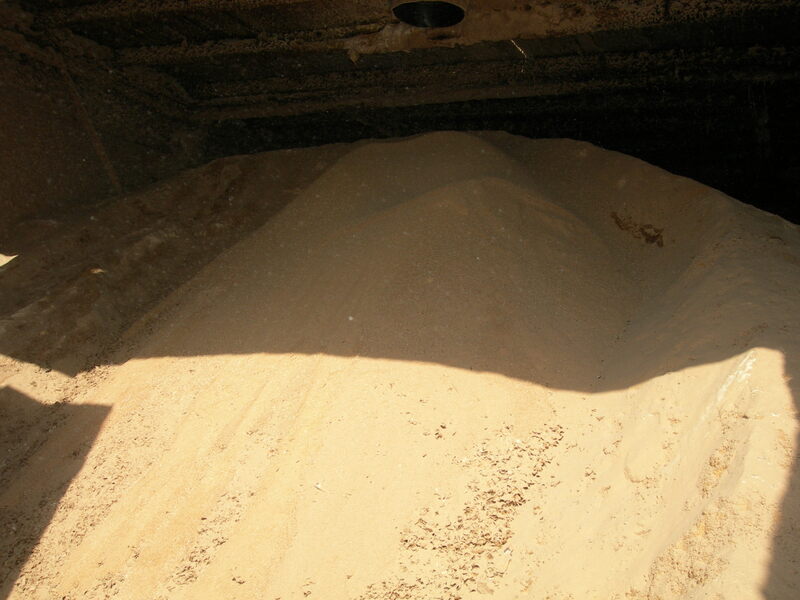 Sawdust – or more correctly, wood dust and shavings. This is the result of cutting, planing and sanding. So, what do we do with these bi-products? Well it has been an interesting journey to find good home for them, and periodically the demand for them changes in the nature of the businesses that require it. 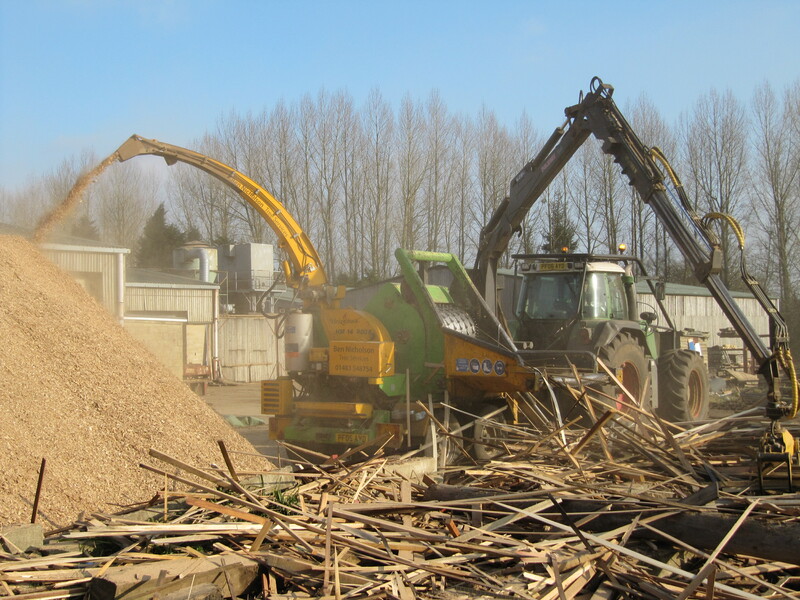 With the slabwood we have now found a market for wood chip for biomass fuel. 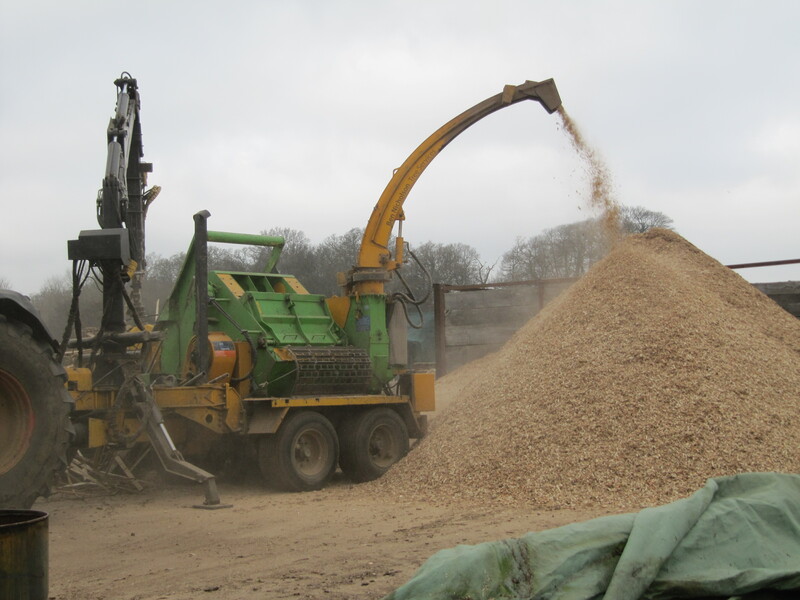 We stockpile our slabwood until we have enough to hire in a chipper, the slabwood is then chipped into a measured size chip, suitable for an automatically fed biomass boiler. We then sell the chip to a chip supplier. This process is volume critical, and it is important that we ensure we have enough to make chipping economical. Offcuts are fairly simple, our local customer love this for their fires and woodburners. The only part we have a problem with is the very small offcuts, they still burn, but we are finding hard to convince our customers to take them!! Sawdust has been one area that has gone around the houses a bit. Going back a decade or so it would go to the board manufacturers to make products like chipboard. That industry slowed down on demand and we supplied local farmers and the Polo industry. The farming side has slowed down so a new customer had to be found. 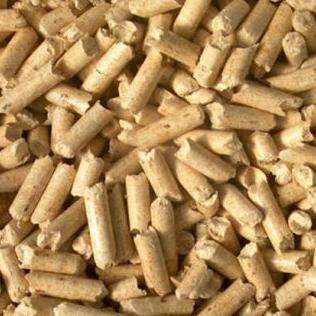 So currently it is being supplied either to biomass fuel users, pellet manufacturers or board manufacturers. There cannot be many countries in the world that does not have recycling on its agenda. Clearly, in the UK it is high on our Government’s list. In the timber industry is it really a new thing to do? Or were we really the leaders in recycling? 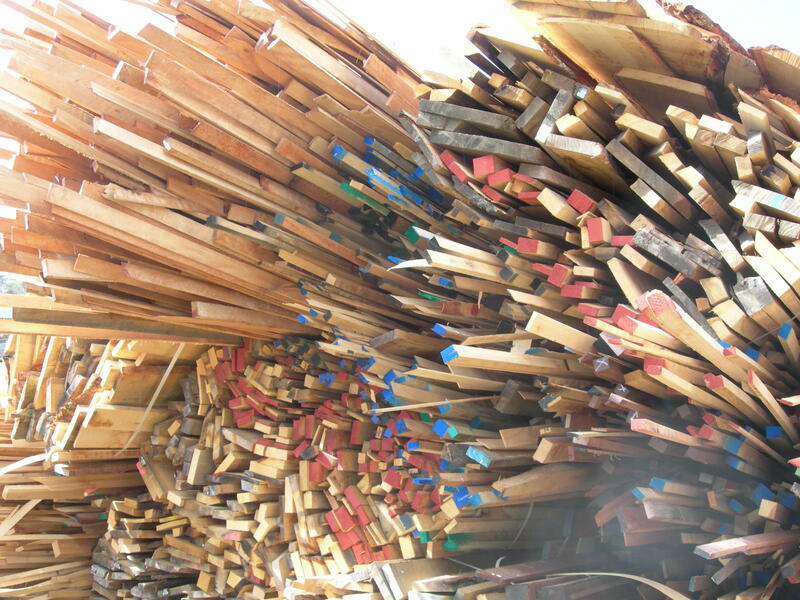 sawn and machined timber, we produce resonably large quantities of waste, or how we term them – ‘bi-products’. This means that we have always had to be ‘on the ball’ when it comes to dealing with where we are going to send the bi-product. It just is not logistacally possible to let the waste continue to build up. Nowadays it is not financially, morally or physically possible to send this bi-product to waste tips. From our point of view we have three areas of bi-product. Slabwood – that can be the part round side of a log or a strip of timber from a cut to size job. What we refer to as Firewood – smaller pieces that have arrived from jobs being cut to length. Wood dust – the result of cutting, planing and sanding timber. Lets have a look at these three areas. Slabwood, this product is now sold for woodchip for the fuel industry. Getting chipped into controlled sizes for Heating and (CHP) Combined Heat and Power systems. But what used to happen to it? Well we used to supply it into the chipboard and fibreboard manufacturers also to the paper manufacturers. Some was sold for firewood. Firewood – small offcuts. Nearly always this was used for ……. yes you guessed it ….. firewood, and still is. 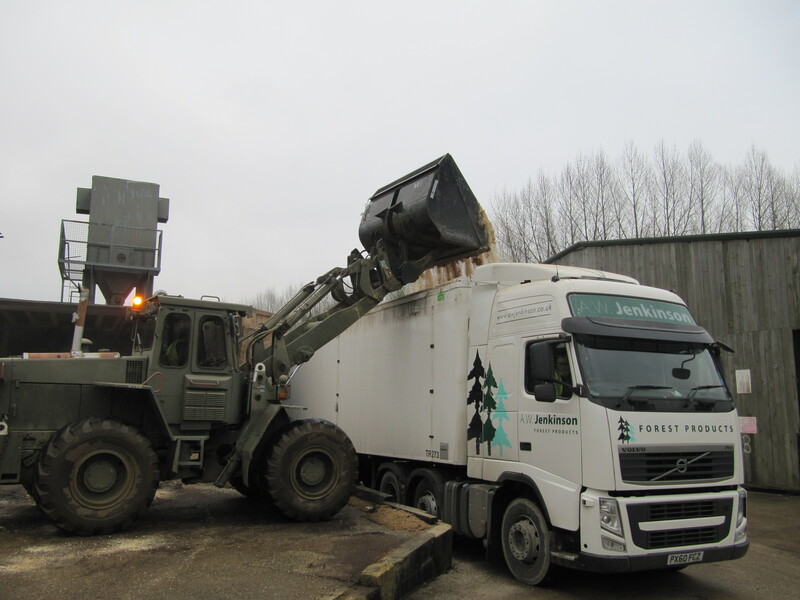 Wood dust – We now send the bullk of this bi-product to be made into pellets for ….. wood fuel. A small amount still is used for animals. Originally the bulk would have been used for animals. About 4 or 5 decades ago there was a time when it was dumped and it had little if no value. Now, we are able to sell it. This one part of our bi-product is the one that we have not always been able to recycle, thankfully now we can. So, I think that we probably beat the glass recyclers (one of the first to recycle – with the exception of the times of returned beer, lemonade and milk bottles for deposits!! ), certainly we have beaten the plastic recyclers and many of the more recent recycling projects. So, throwing down the challenge, I think the timber industry was probably one of the leaders in recycling, we just didn’t know it. So a leading green industry? I think we must be near the front aren’t we? Post a reply if you have other industries that have been recycling for decades. Or if you have alternative uses for my bi-products.